Sonia Marks is very ill, and she desperately needs your help. 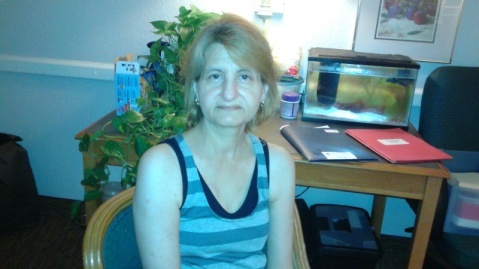 Since 2006, Sonia’s health has been rapidly declining and she was diagnosed with a severe and progressive form of chronic obstructive pulmonary disease, or COPD. Without a lifesaving heart transplant, physicians at Scott and White Hospital in Temple, Texas say that Sonia’s time will soon run out. She is currently undergoing extensive medical testing, and is expected to be placed on the active heart transplant list in the very near future. Transplants are lifesaving, but the costs are more than Sonia and her family can handle on their own. For many years, Sonia was a single mother to her son and two daughters. She made numerous sacrifices for her children and struggled financially for a long time. The love and support she now receives from her spouse, Lincoln is overwhelming, and he looks forward to seeing Sonia through her transplant. However, Sonia is still faced with extensive medical bills and out-of-pocket medical expenses related to her upcoming surgery. These include large deductibles and co-pays, health insurance premiums, medical appointments, rehabilitation fees, and caregiver expenses. Sonia will also be required to travel back and forth to Scott and White Medical Center and reside closer to the transplant center after her surgery. Finally, she will be required to take post-transplant anti-rejection medications for the rest of her life, which are expected to cost upwards of $3000/month. To help with this financial burden, a fundraising campaign in Sonia’s honor has been established with HelpHOPELive, a trusted nonprofit organization that has been providing community-based fundraising guidance to patients and their families for more than 30 years. All donations are tax-deductible, are held by HelpHOPELive in the South-Central Heart Transplant Fund, and are administered by HelpHOPELive for transplant-related expenses only. Your contribution is greatly appreciated. Sonia thanks you for your prayers, generosity and kindness. Please know that any donation amount, no matter how big or how small, is one step closer to a successful transplant for Sonia.